In the middle of all that, Prince Charming and I began counseling and parenting classes; we worked together to vacuum every day for 6 weeks, did laundry every day for 6 weeks, and lived out of containers to rid our house of pests for 6 weeks; Rapunzel attended play therapy every week; finished one soccer season and began another; went to the dentist; completed one school year and prepared for another; taught Princess Anna to buckle herself (HOORAY! Thanks to Wendy! ); celebrated several birthdays (Princess Anna turned 5! ); tended a garden; became even more involved in our church (if it’s even possible); babysat my little buddy from church); exercised; colored; did extra work for money; and went to the park. I’m sure there was more, but I’ve listed enough. Oh my goodness…I am just thinking about the next couple of weeks in a panic. Some of you may be sharing the same thought: WHERE DID SUMMER GO??? I have to admit: some things came up this summer that kind of threw a wrench in my plans (happens often!). We had some issues with Cinderella that needed addressed, which has added more to our calendar. We added swimming lessons to the schedule for Rapunzel and Princess Anna. An impromptu trip to the beach with my parents also came up for the little ones. Mix in some pest control issues (which required some in depth house cleaning we didn’t anticipate) and an extra VBS and you have a full summer. Still, I have to say I am a bit disappointed that we didn’t accomplish certain things. For instance, we have 13 locations left to find for our letter-boxing adventures. The insane mom in me says we will do seven this week. The sheets are due on Sunday, so we will have to give up there. We are many minutes short of our 800 minute goal. At this point, Princess Anna needs to read 50 minutes a day to reach our goal by the deadline, and Rapunzel needs to read 34 minutes a day to reach the same goal. I can’t wait to post about our adventures visiting museums this summer! I had really hoped to go to one more tomorrow, but Cinderella is working, so that won’t happen. We have a membership though, so we’ll probably go several times throughout the rest of the year. We were able to have Yard Game Day, and we have scheduled Spa Day for this Friday. Let’s go ahead and throw in counseling, parenting class, chores, preparing children’s church and Sunday school lessons, checking the teacher’s list at the schools (SO EXCITED! ), work, and spending time with one of my besties, and you’ve got one crazy to-do list! How are you spending your last summer days with the kids? I always plan for plenty–that way, when I don’t get to all of them, we still remember the ones we were able to have fun with. Our favorite: Spa Day! Last year, each of the kids invited a friend over, and we painted nails, made homemade chocolate face masks, and did some hair. This is another MUST DO for this year! What are some of your favorite themes? Less than a week ago, after picking up Princess Anna from preschool, she announced from the backseat that this summer, after camp and after her birthday could she have a sleepover at her friends house? And could she play at her friend’s house? Because she would have fun. Now a planned out family summer is fun and all, but sometimes kids just need time to blow off steam with their friends. Her preschool friend doesn’t live quite as close to us as some of her other friends, but even last summer we made sure they had plenty of time just to play. That being said, one of the first things I wanted to do when planning this summer was to include her friends. Last year we had an absolutely wonderful time during spa day, so we wanted to make sure they were included in that. Craft day was also a hit, and they were there that day also. And of course a play date here and there. 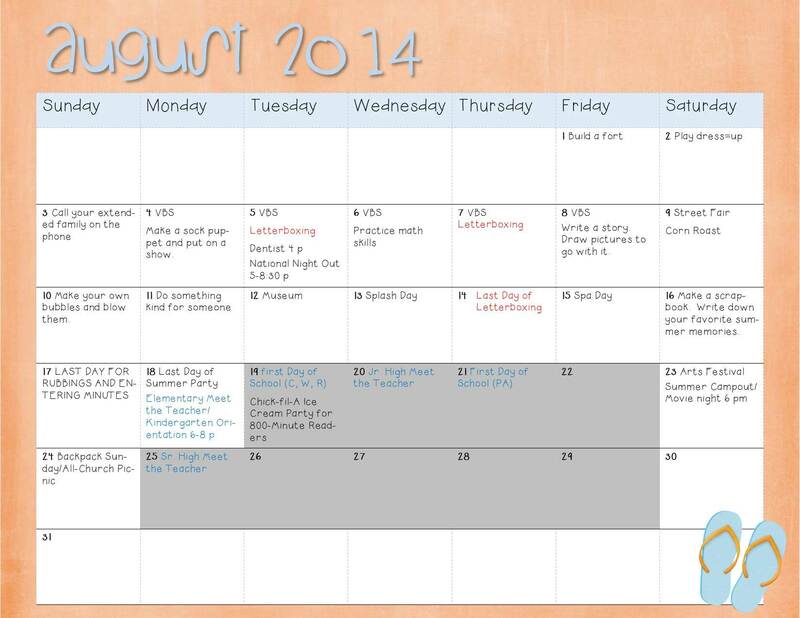 Now that I have her friend’s vacation schedule, I know when to plan the activities that they won’t want to miss! But don’t let the play date schedule run your summer. You still need time to unwind, and you still need family time. We’ll shoot for play dates every other week maybe, and I think that should be a good balance. Missed my post about summer trips to museums? Check it out here! 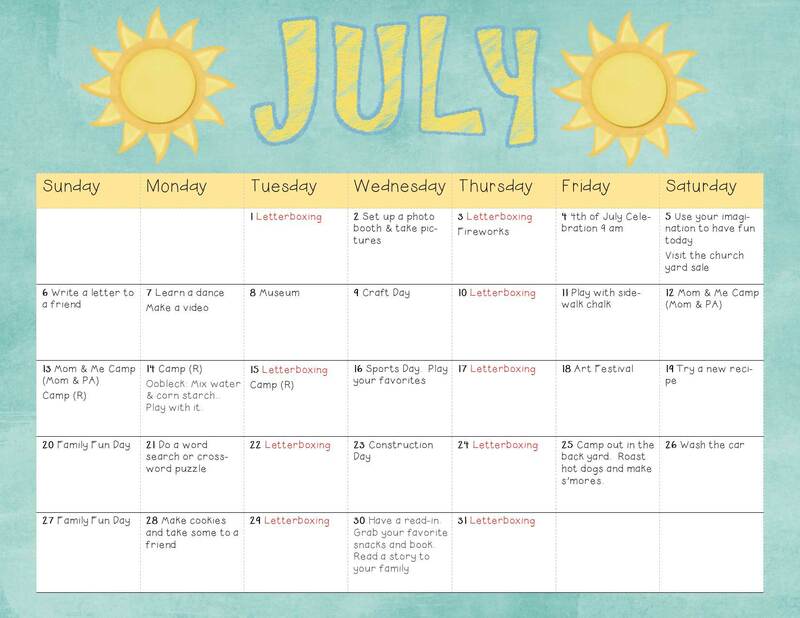 And keep watching for my next post in my Planning for Summer series: theme days! Check out the Disney Frozen birthday at my new home by clicking here. Last week, we planned to stay at home all week and do some different home activities. One activity I had on our bucket list for the summer was to do a word search or crossword puzzle. I was somewhat limited, as the kids I was planning for are 3 and 6. There’s only so much they can do with a word search and a crossword puzzle. I found this Curious George Word Search on TeacherVision.com. Every so often I find some good free printables on here like this one. If you’d like to download this resource, click on the word find image above. I used this one for Rapunzel, who is 6 and who will be entering first grade. Since Tinkerbell is only in preschool, I found it more appropriate to give her a Letter Hunt instead. I found a few things I liked, but what I ended up with was this resource from Confessions of a Homeschooler. I gave her letters A-D on Monday, and she did very well with them! I will definitely have her finish this packet for more practice. If you click on the image above, you will be linked to the site, where you can download this free resource. 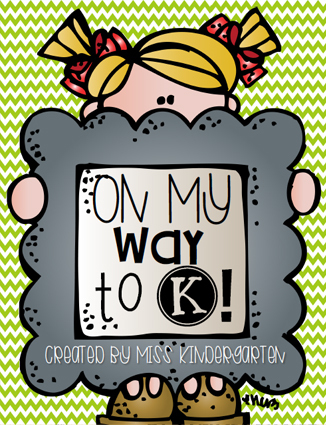 There are many letter printables listed; this one is called A-Z Letter Hunt Worksheets. I know it’s been a while since my last post. I must have had a crazy week, because it’s been a blur and now I can’t remember what on earth I did. I can tell you I didn’t do anything I had planned, that’s for sure! I did spend most of the day planning for the next two weeks at home, searching activities, creating activities, moving plans around, etc. One thing I was looking for was a summer scavenger hunt. I couldn’t find a whole lot online that I really liked, and I had my own things in mind anyway, so I made one up myself. I’d love for it to be a little snazzier, but I don’t have great access to good graphics right now so this is what I have. When you look closer at it, don’t freak out. I’ve created this scavenger hunt to be a summer-long hunt. This scavenger hunt is not meant to be completed in a day! 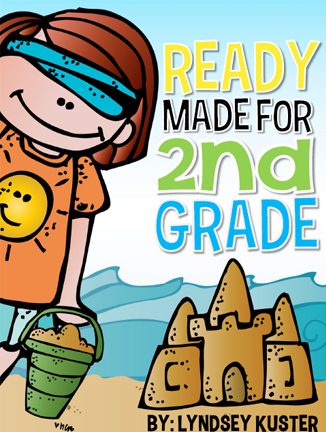 If you want to complete it in a day, by all means go ahead…but this is supposed to allow the kids to keep their eyes open all summer, notice certain things when they go somewhere different, and learn in the process. Click on the image below to access the FREE printable! PLEASE NOTE: If you’d like to share this printable, please do not post the PDF. Instead, please link to my blog page. Thanks! Well, as I announced to my Facebook friends earlier today, as of today we are officially parents of a preschooler, an elementary schooler, a middle schooler, and a high schooler! I don’t know whether to be excited or scared! No matter how you look at it, one thing is true: it’s summer, and the kids are out of school. Now officially begins our Summer of Fun 2013! I’m so excited for more first summer (mostly) at home! 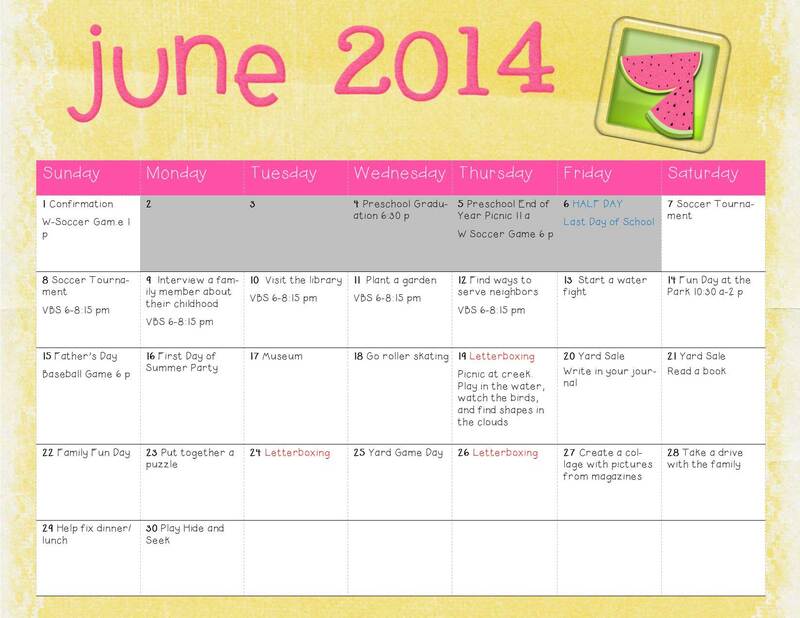 You have seen my calendar already, so you know we are booked for more fun than we can handle. We’ve already started some activities, as my last week’s posts have indicated. Unfortunately, due to some unforeseen circumstances, we were unable to do a few activities this week, but after Tinkerbell’s end-of-year preschool picnic today, we were able to squeeze in some of those. Game Day was supposed to be on Wednesday, but we were able to fit that in today. Kids this young still have a relatively short attention span, so this didn’t take long. Our first goal for Game Day was to play a favorite game. 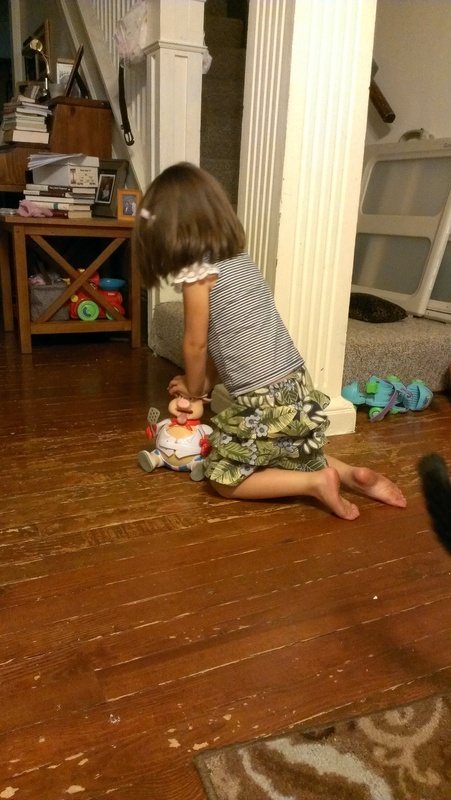 TInkerbell loves Pop the Pig, so we played that one first. Our next task was to play a game we had never played before. Surprisingly enough, we found one. Thank goodness–Rapunzel’s teacher sent home foam dice and a few summer worksheets, one being a dice games packet and one a card game packet (learning activities in disguise!). We played one of each. 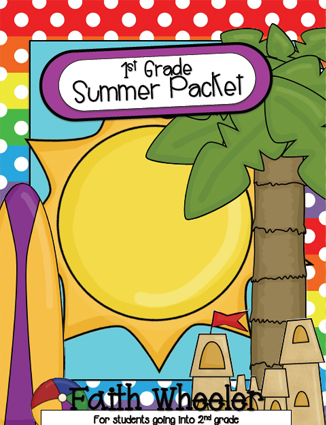 I love these packets that the teacher sent home–they’ll keep the kids’ brains working over the summer so they don’t lose that important segment during their time off. Last thing today: dance party! This didn’t last very long either. The kids didn’t want to do a whole lot right away, but once they got into it, it was dance party turned ring-around-the-rosie slash horseplay followed by some rest time on the floor. I’m looking forward to the park’s fun day tomorrow. it’s supposed be chilly but not rainy and the kids always have fun there. What did you do with your kids on the last day of school?